When it comes to getting professional, attractive, high-quality Interior Signage, look no further than Blink Marketing & Signs. We are recognized and respected for offering innovative and attractive signage at competitive prices. As the leading interior & exterior signage company, we provide a wide range of portfolio for interior signage solutions. We guarantee that our signage solution will definitely convey your message, manage traffic and promote your brand. 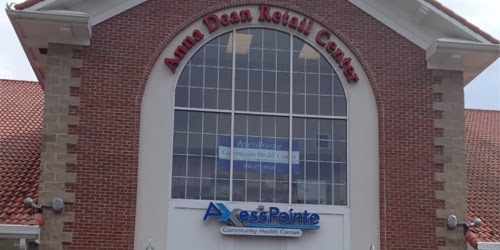 Whether you are looking for ADA signage, Edge-Lit acrylic, directory signage, way-fining signs, wall plaques or donor reorganization signage, we are one-stop destination for all your needs. We utilize the most advanced tools, latest designing software and highest quality materials in order to provide products that deliver successful results. We believe in providing customizable services. Our team of expert and skilled designers work with the clients to find a signage solution that definitely work for them. We are dedicated to deliver any project we take on time. To become a one-stop destination of people for great rates, attractive & innovative products and fantastic services is our main goal. Blink Marketing & Signs can be your ideal partner for getting premium quality, innovative and effective Exterior Signage at competitive prices. We have extensive experience in the signage industry. Our years of experience and knowledge will help us to provide our client products that deliver proficient result. We work with some of the best signage designers in the industry. This will enable us to serve different signage needs of the clients in one place. We specialize in providing both modular and custom exterior signage. Our team of designers work with you step-by-step in order to deliver matchless and professional signage that is best for your brand promotion. From front lit, open face, directional signage, commercial awnings, pylon signs, monument signs to banners, we design everything at very remarkable rates. We utilize the latest software, high-quality paper, superior inks & colors and state-of-art tools in order to deliver quality and durable products for your investment. Providing 100% client satisfaction in everything we do is our main goal. For those individual business owners who are vastly unacquainted with the concept of clever brand activation, it would suffice to say that banners are an indispensable piece of sign which can render your company huge exposure in the neighborhood. A clever banner accompanied by high quality service will be a deft combination which will definitely outgrow your business against competitors. 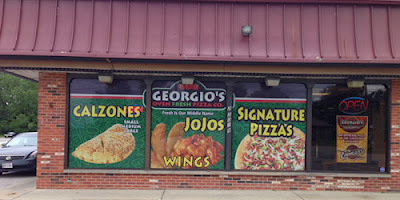 And even if you are familiar with what banner is, then you must know that installing a cardboard piece on the façade of your business does not exactly constitute a true banner. A banner has to be attractive and it should be customized in such a way so that costumers from far away and also small children are able to make out what the name of your store and the service you provide actually is. A business can grow for those individuals who have vested their time in improving both the quality of their service and the appearance of the material through which they provide their service. If your company is located in the vicinity of Cleveland, Ohio, where the population is rising on a daily basis, it is time you opt for an efficient signage company in Ohio which will encompass all the service of signage for your business including Blink MARKETING & SIGNS's banners Cleveland. Best Exterior signage should be built in a manner that communicates your message clearly to your customers . Picking right shape, font colors, dimensions, lighting, graphics and different pattern of designs constitutes a perfect signage that mirrors your store’s look . It actually is the stepping stone in building brands for you. The first impression is the last impression, it certainly creates an impression in your customers, visitors and staff’s mind as it mirrors the true you. You can not compel anybody to enter to your store by just printing attractive brochures and giving heavy discounts or cheesy schemes, of course these mediums also create a pull force but striking exterior matter the most. Your shop’s exterior if it grabs people’s attention can get them straight to your store and it could be the best advertising space you can ever get. A billboard may place in consumer’s mind but they may easily forget or never visit again if they don’t have knowledge of where you are located. Shop front sign-To visualize your presence more precisely to pedestrians and public this is used as highly effective promotional medium. Directional Signs - It’s the most imperative form of signage that serves the purpose of giving directions to visitors place of interest or persuade a flow of momentum in a specific direction. Post and panel signs - Cost effective form of signage that is used widely across many businesses. Monolith signs-structures that can be manufactured using different materials and can be enlightened to broaden their impact. Different signages can be formed for different purposes. For instance they could be placed in your windows or display board or external banner paving a clear path to come straight into your store. Positioning of the banner should be so, that people notice them as they come along the street as that lets them to decide to take in the information and deem entering your place before they pass the door mat. Most wanted responses comes out of your marketing efforts and exterior sings constitutes those mediums. The purpose is simply to let people know that you are there and make them aware about your services. Good shop sign with genuine information is all that is needed to generate good returns.Target customers could be passers by as they can easily spread word of mouth and performs the same task of banner and signboards. Flag banners appear more noticeable and can be placed facing on drivers not like the front of your shop that faces along the road. Like Exterior, the Interior signage is also an important part for any business to show up the better presence and quality. If people come into your store they focus on quality and search everything as per their requirements and your attractive interior signage helps them to find the things easily.